Intel has promised to deliver the world's most powerful supercomputer system to the US Department of Energy's Argonne Leadership Computing Facility (ALCF). 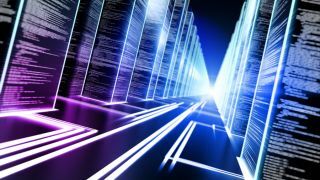 The contract, which is part of a the DOE's multi-million dollar plan to build supercomputers, involves two separate machines that will help the US energy sector to advance its position at the forefront of next-generation exascale computing. The star of the show is the "Aurora" high performance computing (HPC) system that has a peak performance of 180 petaflops and is 18 times more powerful than its predecessor "Mira," while only using 2.7 times the energy. The DOE will use the system to advance a range of research goals including battery and solar panel development, improved transportation systems, new plans for the placement and design of wind turbines, and various other initiatives. Aurora is based on Intel's scalable system framework that combines Intel HPC building blocks, future Intel Xeon Phi chips and Omni-Path Fabric high-speed interconnect technology. The plan is for the ALCF to take delivery of Aurora in 2018. Its smaller sibling, "Theta," offers performance of 8.5 petaflops using just 1.7 megawatts of power. The HPC will work as an early production system for the ALCF and be delivered in 2016. Power will come from Intel Xeon and next-gen Intel Xeon Phi processors, and it is based on the latest Cray XC supercomputer. Intel's $200 million contract is part of a wider initiative by the US DOE to develop state of the art computers at its Argonne, Lawrence Livermore and Oak Ridge National Laboratories. To that end it has already signed a $325 million contract with Nvidia and IBM to provide two GPU-accelerated supercomputers by 2017.